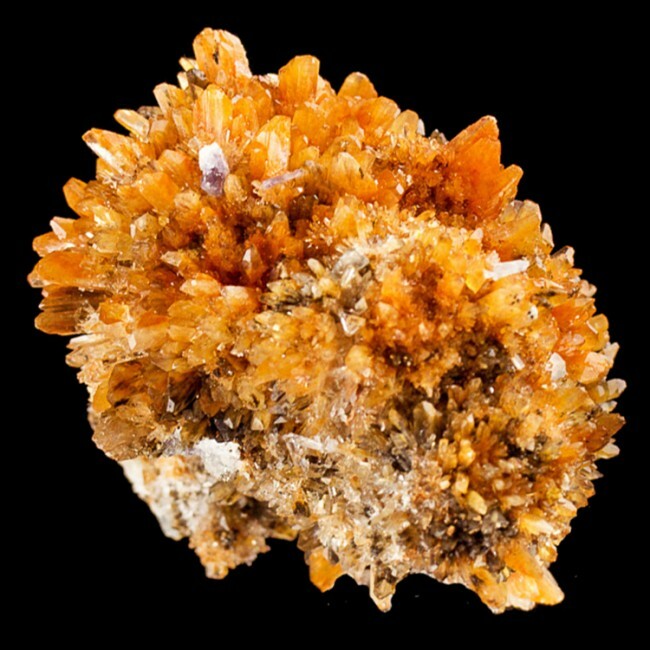 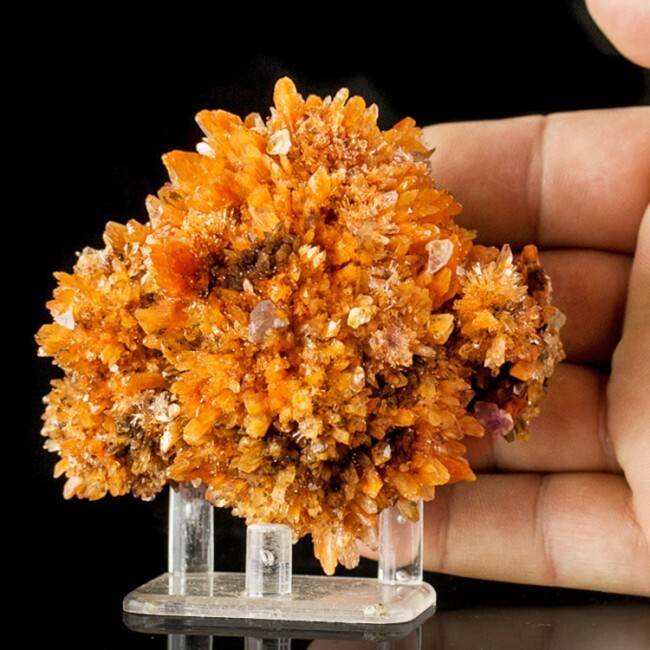 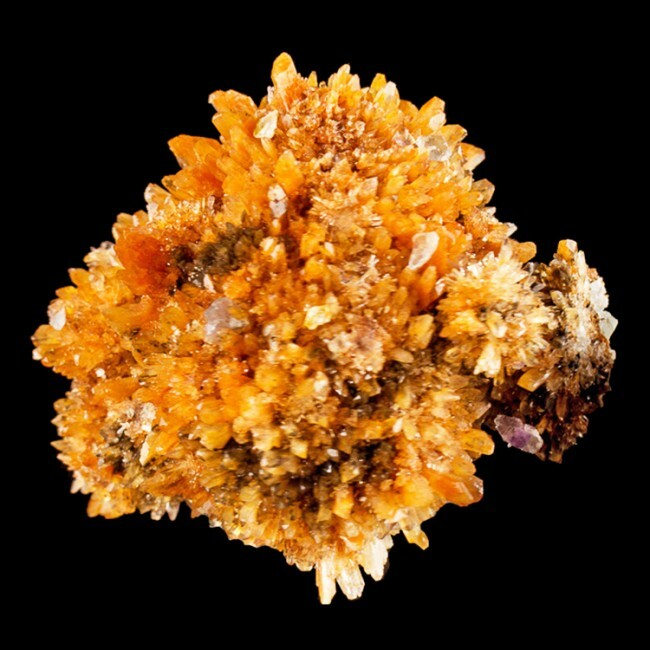 Size 3.8" x 3.4" x 2.6"
The crystals on this dramatic specimen of creedite have grown in several intersecting spiky spheres with stick-out spiky orange, clear and brownish crystal points that are sharply pointed. 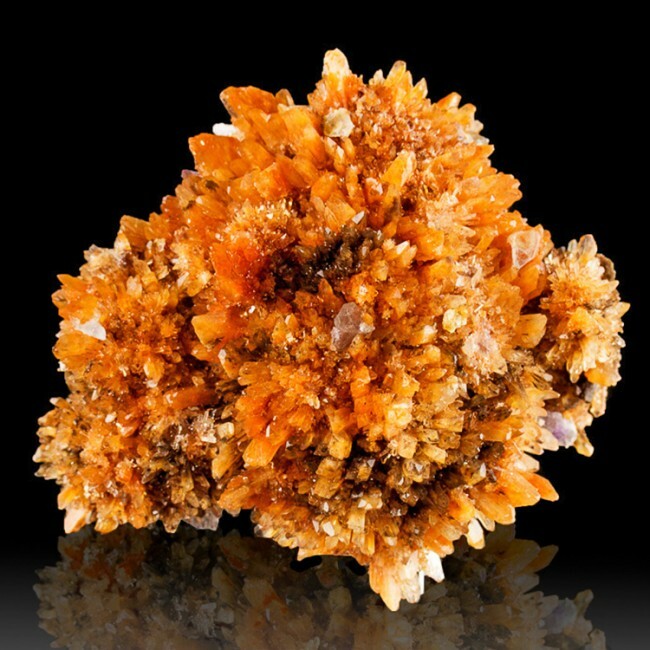 The crystals are flashy and highly lustrous, and are colored a rich red-orange that reminds me of native copper. 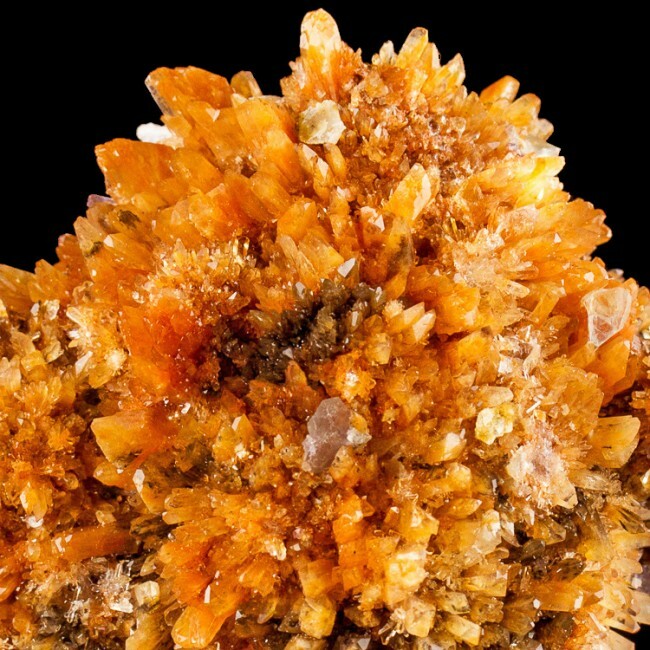 There are also a few green fluorite crystals here and there. 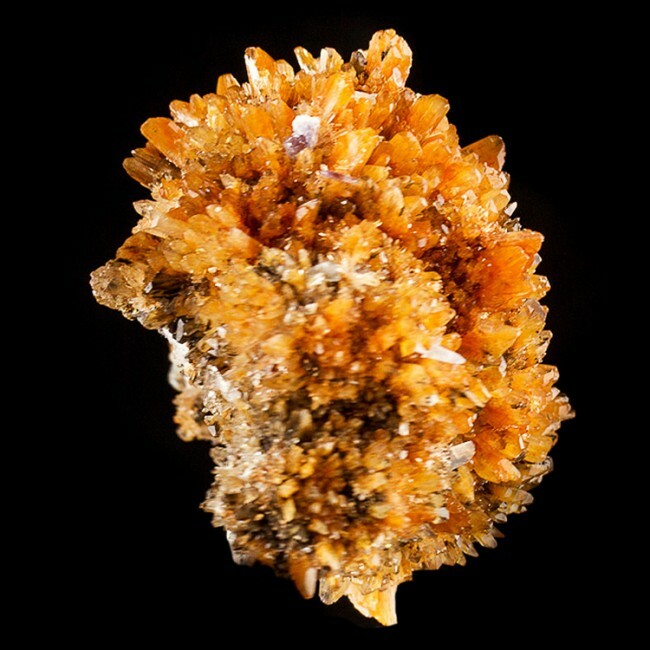 Specimens like this one with excellent display aesthetics and top crystal quality are now uncommon since the productive zone at Mina Navidad is played out.